Think about this for a minute. You just won $10,000 cash at a casino in West Virginia during a wonderful weekend getaway. You are on your way home, and you get pulled over by the state police, for an illegal lane shift. Instead of being issued a citation you are asked if you have cash on you. When you don’t want to talk about it, they search you, find the money, and take it from you. They also take your casino frequent guest cards and gift cards. Police refused to return the money until news stations in West Virginia and New Jersey began covering the story. It happened to one couple from Jersey who said they will not step foot in West Virginia again. Gaming experts have stated this incident puts a damper on the state’s gambling tourism industry. There are currently five casinos in West Virginia. Most of the casinos in West Virginia are attached to a horse racing track or dog racing track. The state allows pari-mutuel betting on racing. Several of the casinos are also casino resorts, which attract tourists. The tourists also go to the mountains in fall and spring to see the foliage or in the winter for skiing. Gambling in West Virginia also is poised to offer sports betting at its casinos as well. The state also had a lottery. All of the revenue from gambling in West Virginia amounts to over $1.5 billion. Revenues from gambling go directly into education to provide scholarships for students who need money to go to college. 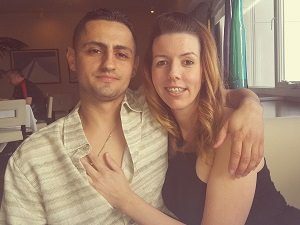 The couple, Dimitrios Patlias and Tonya Smith, were on their way to another casino in West Virginia after a fun weekend of gambling. The West Virginia Highway Patrol stopped the couple because they claimed that Patlias swerved into another lane of traffic. The couple claimed that the first thing the police officer asked them was if they had any money. Patlias refused to answer the police officer. He was handcuffed, and a drug dog was called to search the car—and found nothing. After two hours, the couple was let go with no citations or charges being filed. The police officers took the couple’s winnings and their gift cards and frequent customer cards from casinos in West Virginia. The couple had receipts and forms that showed they obtained the money legally. But the officers still took all of their money. Federal law allows police to seize property if they believe it was gathered from drug money or other illegal activity. It is estimated that state and local police have seized billions of dollars in cash and property across the nation in 1980. Under the law, anything seized is kept by the police department and used to buy property for police departments. Examples of property purchased by police departments include faster police cars, guns, and mobile crime labs. The policy has been under fire for several years, because of allegations of illegal searches and seizures. Many people across the country have charged that police tend to stop vehicles with out-of-state license plates. They figure the people are not willing to travel back to pick up the property police confiscated. The couple contacted an attorney and then contacted the press. The West Virginia State Police told the couple they would have to come back to collect their money. The couple refused. After the media got involved, the couple received a check for all of their winnings and gift cards without returning to the state. In the meantime, casino gambling is down five percent this year. The decline may or may not mean more tourists do not want to come to the state to gamble. They may fear losing their winnings to police departments without getting their winnings back. Previous articleRoulette – Should You Play American or European?